St Kilda Today: Only a couple of elms left in the park on Fitzroy Street　— at Fitzroy Street - St Kilda. 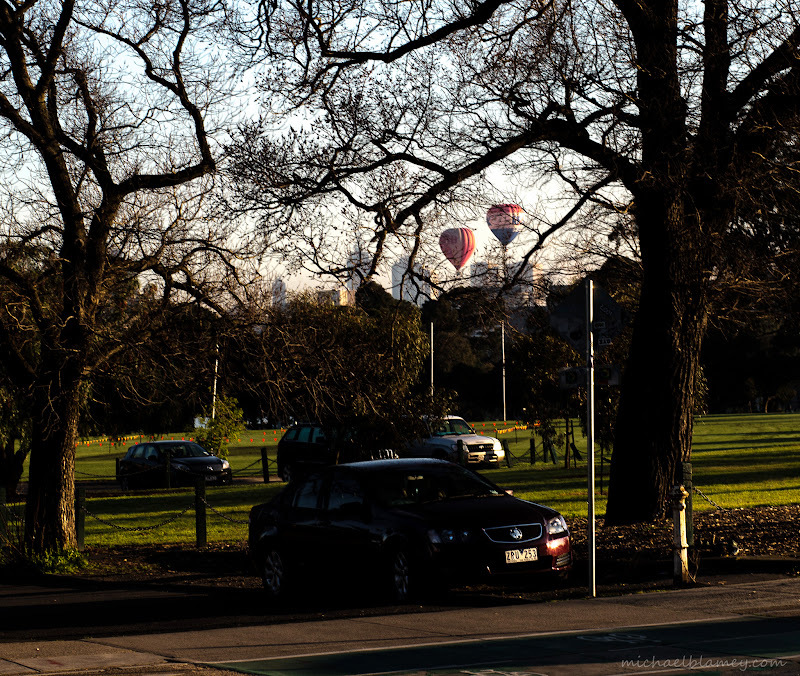 Only a couple of elms left in the park on Fitzroy Street　— at Fitzroy Street - St Kilda. The dark light in this scene is very atmospheric. The balloons in the background become quite eerie.